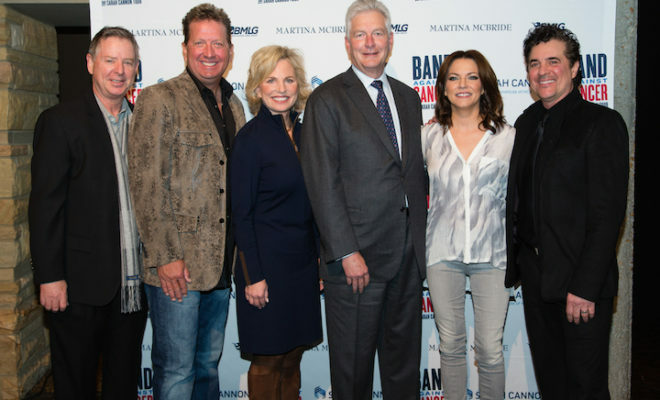 Sarah Cannon and country superstar Martina McBride along with Big Machine Label Group announced today the launch of Band Against Cancer. 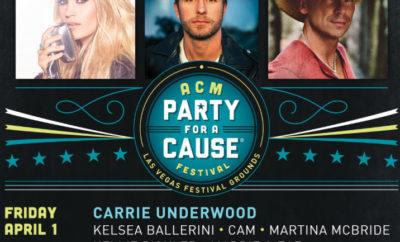 The initiative will unite music and healthcare to help connect those touched by cancer with community-based treatment options and resources. The Sarah Cannon Tour will travel through several major U.S. cities returning to Nashville with a special concert at the Grand Ole Opry in October. Martina will also anchor a national social and digital initiative engaging people coast to coast in ways that every follower can help to advance the mission to fight cancer. The initial focus of the campaign will be on people facing blood cancer, an underserved patient population requiring convenient access to cutting-edge treatment options in their communities. Approximately every three minutes, one person in the United States is diagnosed with a blood cancer. Further, 70 percent of all blood cancer patients who are in need of a transplant do not have a matched donor in their family. By arming people with resources and education, the initiative can help patients access potentially life-saving treatments including stem cell transplants and the latest targeted medicines. This is a great cause that McBride is becoming apart of and to learn more about this initiative you can visit their page at www.bandagainstcancer.com. Windy City LakeShake Festival Lineup Announced! 10 Things Seen & Overheard at a Nick Jonas Concert.